Exploring the roles of OCT angiography and trabecular microbypass stent implantation in disease management. In this observational case-controlled study, investigators used OCT angiography to evaluate microvascular perfusion in the optic nerve head region of glaucomatous eyes with or without disc hemorrhage (DH). The researchers also studied the relationship between parapapillary choroidal microvascular dropout (MVD) and retinal nerve fiber layer (RNFL) thickness. The study included 82 eyes with open-angle glaucoma (OAG) and DH and 68 OAG eyes without DH, all of which had at least four serial OCT angiography examinations. Outcome measures included MVD detection rate, extent of MVD, and RNFL thinning rate. MVD was defined as complete loss of microvasculature within the choroidal layer of the parapapillary region. • Parapapillary choroidal microvascular dropout (MVD) in glaucomatous eyes was associated with retinal nerve fiber layer thinning and progression of open-angle glaucoma. • Investigators used OCT angiography to better define the relationship between microvascular changes and glaucomatous progression in eyes with disc hemorrhage (DH). The presence of DH, recurrent DH, or MVD was associated with progressive retinal never fiber layer thinning, and the extent of MVD correlated well with visual field damage. These data suggest that MVD, identified on OCT angiography, may be useful as a biomarker for glaucomatous progression. Investigators found MVD in 38 eyes (46.3%) with DH at the prior DH site but in only 20 eyes (29.4%) without DH, a difference that was statistically significant. When present, MVD was found to correlate with RNFL thinning in all cases. The rate of RNFL thinning was faster in DH eyes with MVD than in DH eyes without MVD. Glaucomatous progression was evident in 53.7% of eyes with DH and 23.5% of eyes without DH. When DH was not present, eyes with disease progression showed significantly more MVD than the stable group. The researchers concluded that parapapillary choroidal MVD was frequent in eyes with progressive OAG and more frequently found at prior DH locations. Furthermore, they reported that the extent of MVD was associated with more advanced glaucoma. What is the clinical significance of parapapillary choroidal MVD? MVD is a perfusion defect of the choriocapillaris and large choroidal vessels. It can be seen within the beta-zone of parapapillary atrophy on choroidal density maps of the optic nerve head. MVD is associated with a thinner RNFL and poorer visual field parameters. The extent of MVD has also been shown to correlate with the degree of glaucomatous damage at diagnosis, suggesting that MVD may be a pathophysiologic manifestation of glaucomatous damage. The exact mechanism and timing of MVD’s appearance, however, remain unclear. What is the relationship between MVD and DH? DH may be indicative of retinal vascular insufficiency, and MVD reflects choroidal vascular insufficiency. MVD is found more frequently in eyes in which glaucoma is progressing, and MVD is related to faster RNFL thinning in glaucomatous eyes with DH. The presence of MVD may therefore be a biomarker for glaucomatous progression, especially in eyes with DH. These investigators suggested that, when there is retinal vascular insufficiency, observed as DH, and additive choroidal vascular insufficiency, observed as MVD, these factors increase the risk of glaucomatous progression. • 87 eyes with CMG undergoing PE and trabecular microbypass stent implantation. Outcome measures included 1-year success rate (IOP ≤ 18 mm Hg on no medication), absolute postoperative IOP, and number of medications at 1 year. The Table shows outcomes 1 year after surgery. There was no difference in absolute IOP between POAG-PE and POAG-PE-stent or CMG-PE and CMG-PE-stent. Mean reduction in medications was greater in the groups that received the stent. Combining PE with implantation of a trabecular microbypass stent significantly increased the success rate and reduced the number of medications in CMG patients compared with PE alone. In terms of success rate, IOP, and number of medications, the device was similarly efficacious for POAG and CMG. • The results of a retrospective cohort study suggest that combining cataract extraction with implantation of a trabecular microbypass stent lowers IOP and number of medications to a significantly greater extent than cataract surgery alone in eyes with combined-mechanism glaucoma. • Although numerous reports have supported the benefit of cataract surgery as a treatment for angle-closure disease, the procedure alone may be inadequate for many patients. The reason may be related to a combined mechanism of injury, in which trabecular outflow resistance continues to limit IOP control despite an open angle after surgery. 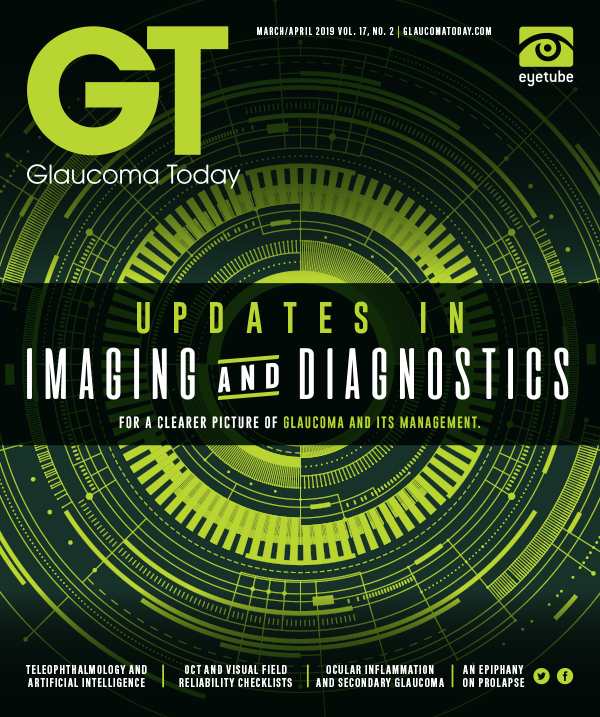 In these cases, it may be important to address both underlying etiologies of glaucoma. Why was the combination of cataract surgery with implantation of a trabecular microbypass stent particularly effective in patients with CMG? CMG is an entity of angle-closure glaucoma (ACG) that is thought to have both trabecular (POAG) and pretrabecular (primary ACG) mechanisms. Usually, CMG is diagnosed when patients with ACG continue to have elevated IOP after iridotomy. The persistently high IOP reflects outflow resistance, either from preexisting trabecular meshwork dysfunction or acquired pathologic damage from prior angle apposition. Combining cataract surgery with implantation of a trabecular microbypass stent in CMG patients addresses both mechanisms of glaucoma: cataract extraction opens the angle, and the device bypasses dysfunctional trabecular meshwork. How long do the benefits of cataract surgery combined with implantation of a trabecular microbypass stent last in CMG and POAG? The success rate of PE-stent was highest in the early postoperative period for both CMG and POAG eyes, with the greatest effect on IOP and number of medications evident 1 week after surgery in all four groups. Both IOP and the number of topical medications gradually increased over the ensuing months, with a leveling out of regression at about 9 months. The longer-term effects of surgery remain to be seen, as data beyond the 12-month follow-up visit were not included in this study. 1. Park HL, Kim JW, Park CK. Choroidal microvasculature dropout is associated with progressive retinal nerve fiber layer thinning in glaucoma with disc hemorrhage. Ophthalmology. 2018;125(7):1003-1013. 2. Chansangpetch S, Lau K, Perez C, Nguyen N, Porco TC, Lin SC. Efficacy of cataract surgery with trabecular microbypass stent implantation in combined-mechanism angle closure glaucoma patients. Am J Ophthalmol. 2018;195:191-198.